Hastelloy X Flanges, ASTM B564 Hastelloy X Flanges, Hastelloy X Weld neck Flanges, ASTM B564 UNS N06002 Hastelloy X Flanges, Hastelloy X Slip on Flanges, Hastelloy X Socket weld Flanges, Hastelloy X Blind Flanges, Hastelloy X Lapped joint Flanges, Supplier, Manufacturers, Exporters, Mumbai, India. Calico Metal Ind Pvt Ltd is acknowledged as a manufacturer, exporter & suppliers of Hastelloy X Flanges, available in a variety or grades, materials, and finishes, in metric and inch sizes. We Specialize in Hastelloy X Flanges & Forged Fittings products for companies involved in Equipment Manufacturing, Mining, Oil Refineries, Chemical manufacturing, Steel and Aluminum Manufacturing, Utilities and Transportation, and Industrial Construction. We Offered Hastelloy X flanges are manufactured under the strict surveillance of our ingenious professionals using quality approved raw material and advanced technology at our ultra-modern production unit. 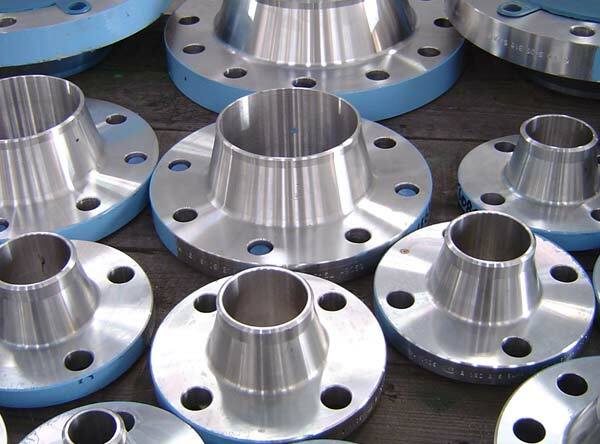 These flanges are designed to comply with International standards and specifications.